Rocket Matter Knowledge Base Batch BillingHow to invoice a batch for matters with current charges. 2. Select 'Matters with current charges'. 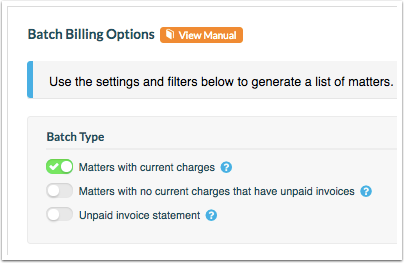 This option will only generate invoices for matters with un-billed activity. 3. Be sure to select any additional filters that are applicable. Once complete, click 'Get Answer'. 4. Review your report summary. 7. Choose your Trust Details and click 'Next'. 8. 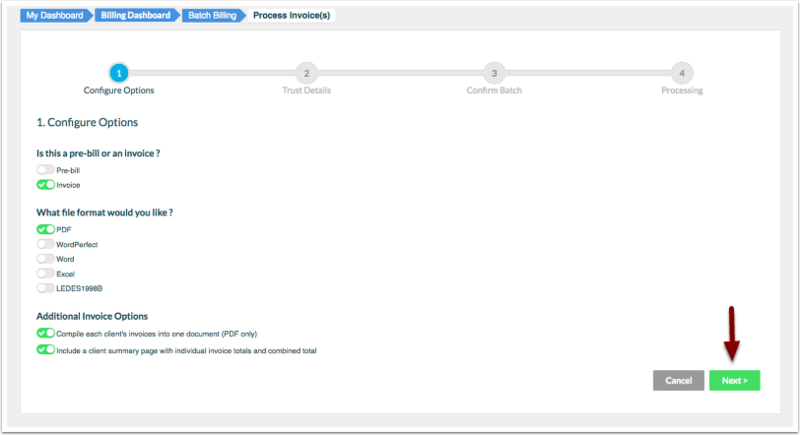 Confirm Batch and 'Process Invoices(s)'. 9. Your invoices are being processed. You can leave this page at any time. The progress bar above will remain in place and you will be notified when the batch is complete. 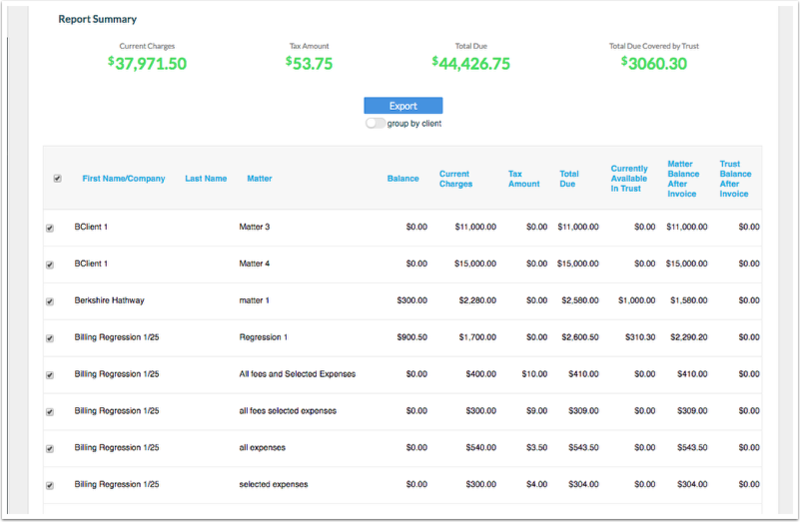 Next: How to invoice a batch for matters with current charges and include unpaid invoices.